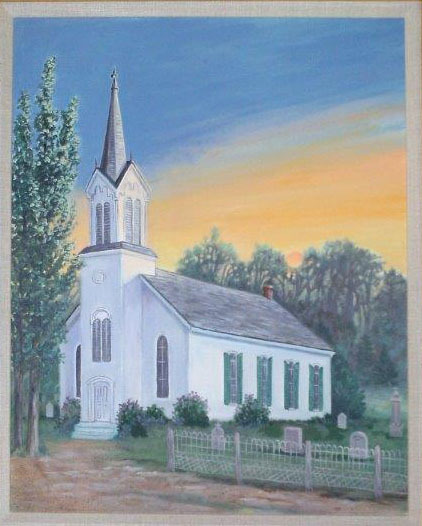 The historical roots of Trinity Lutheran Church of Arkdale go back to 1853 when the congregation was organized and established as the first Christian church in the community. In those years, waves of European immigrants, including many from Norway, were making their way to America’s western frontier to homestead land and to begin a new life filled with promise and hope. Like Abraham, they traveled to a land that God would show them. For almost 165 years, we have been reminded of God’s sustaining power and grace. We remember that Jesus our Lord has already walked the path of suffering and death for us and has risen to forever hold us in the promise of new and eternal life. As his disciples, we follow on that journey. In the waters of baptism, we have died with him that we might also be raised and reborn to new Easter life. As the years pass, Jesus continually invites us as a community of faith to become a new creation. He invites us to confidently and boldly face the future, a future into which he will lead and guide us, a future over which he reigns as our risen and living Lord. In observance of our 150th anniversary in 2003, the Arkdale Trinity Lutheran Church Historical Committee with the assistance of New Past Press, Inc. has published “From Roche-a-Cree to Trinity.” This 180 page book records the congregation’s history in recognition of the mighty ways God called the congregation into being and preserved it through the Gospel of Jesus Christ. Through the Holy Spirit, God has sustained the congregation as a community of faith and mission. From its founding in 1853 to the present spans a period from a humble log church to its present modern worship facility. We invite you to join us for worship. We’re certain you’ll get to ‘Noah’ lot of people in Arkdale!